Authentic oriental building with garden. View of Historical museum building of Kyrdzhali, Bulgaria. 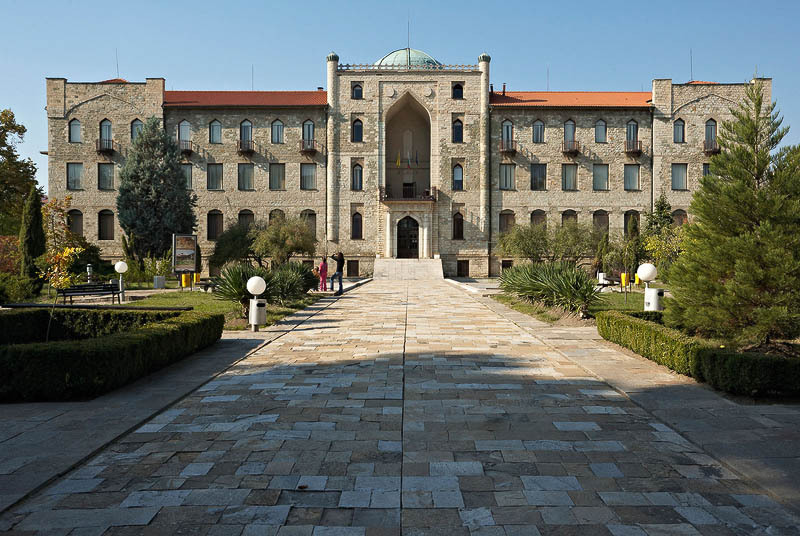 Exterior looks of old Ottoman building with architectural, historical and cultural importance. External side of old Muslim building.